I have had curly hair all my life and only last year did I find out how to wash and care for it properly. All those wasted years when I could have had really good hair! I follow the technique taught to me by my curl-specialist hairdresser. Yes, it’s a thing! Find someone trained in cutting and caring for curls – it makes the world of difference. I then modified this technique over time to a more basic version for someone who works at home and doesn’t need to look fancy every day. Us curly-headed people need to use the right products and the right method to keep our curls hydrated, defined and fizz free. There is a real art to it. The first time I had my hair cut and washed this way I could not believe how good it looked! If you have curly hair, it’s recommended to avoid sulphates, silicones, parabens and synthetic fragrance. Actually, I would encourage everyone to avoid those ingredients, not just curlies! 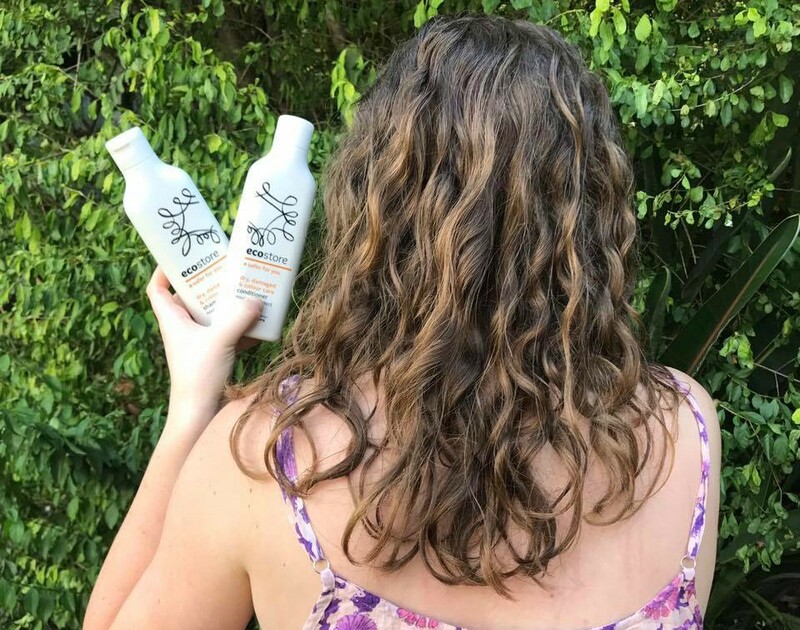 There are some great curly-specific products on the market but I struggled to find ones that were affordable and not full of nasty chemicals. Call me crazy, but I don’t want to spend $50 on a shampoo that’s bad for my health and the planet! 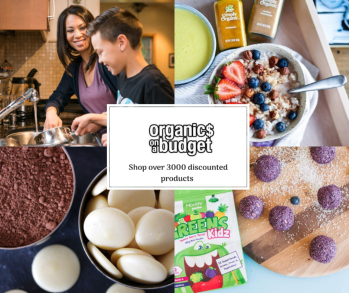 My curly genes are strong and I also have two curly-haired kids (that’s my gorgeous girl in the photo), so I need to buy something safe for all of us to use that isn’t going to break the budget. 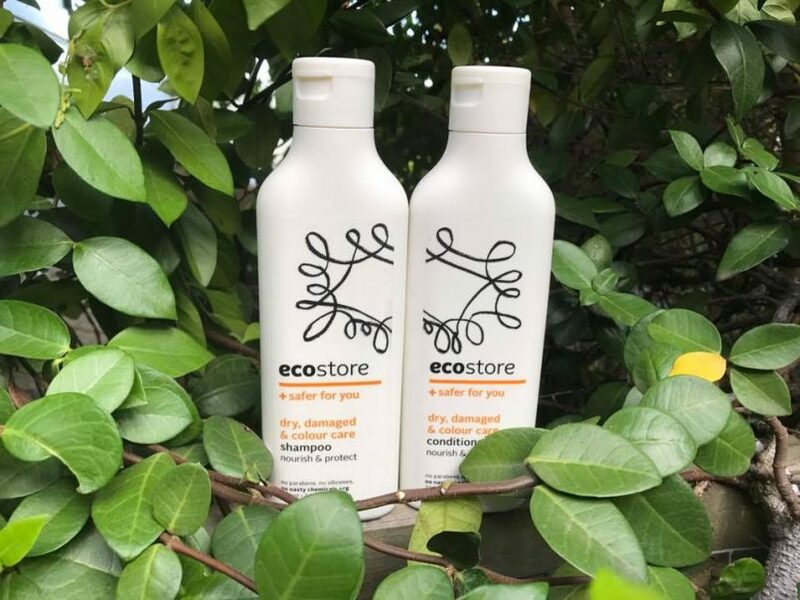 I recently tried out some of ecostore’s newly formulated shampoo and a conditioner for dry, damaged and coloured hair and was pleasantly surprised to find it worked a treat on our curly hair even thought it’s not specifically designed for curly hair! Ecostore is a brand I have always used and trusted. Founded in New Zealand by Malcolm and Melanie Rands, they are experts in natural, low-toxin products. 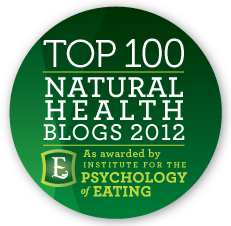 They have complete transparency and list every ingredient in every product on the labels and on the website. So as well as having good hair, you can do good every day for your health, your family and for the environment. ♥ First off, never brush your hair. Throw that brush away. I wish someone had told me that when I was a kid and used to brush my hair one hundred times and wondered why I always looked like a frizzy mess! ♥ Shampoo by gently massaging the scalp with fingertips and then scrunching the shampoo through the hair from the bottom up. Don’t rub the hair and mess up the curls. Rinse well, gently. ♥ Condition by emulsifying some conditioner with water in your hands and then applying to hair using a combing type action, in sections. Gently squeeze the conditioner into small sections of your hair at a time, while adding little trickles of water. Add more conditioner as you go. After it feels slippery all over (like cooked noodles), squish-scrunch your hair from the bottom up in small handfuls. This is called ‘squish to condish’ and should sound like you are walking in wet shoes. ♥ While your hair is still soaking wet, add some leave-in conditioner that you have emulsified in your hands. Use the same scrunch-squishing method to apply. ♥ After leaving it in the turban for about half an hour, take it out and gently adjust the hair so it’s sitting how you want it and then let it air-dry. It’s really important you don’t touch your hair while it’s drying. The more you fiddle with it, the more frizz you will get. ♥ I am very low-maintenance so this is enough for me. But if you want to get fancy, you can add some hair gel or styling products after the leave-in conditioner as well. 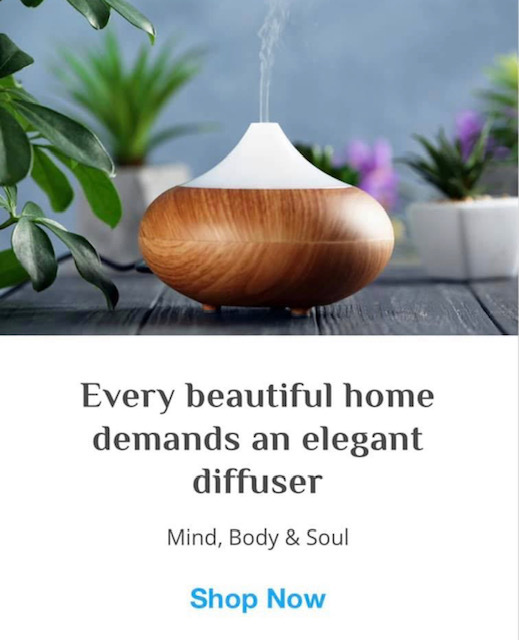 And you can also use a hair dryer on a diffuser on a very low setting to dry it quicker. So, if you have curly hair and have not discovered the right products and the right method, give it a go! Have a play around, ‘squish to condish’ and see what works best for your hair. Try out the ecostore shampoo and conditioner and let me know what you think. If your curls are dry and in bad condition, it can take a while to nurture them back to good health, so keep persevering. Be gentle with those curls and embrace them. Let me know how you go and if you have any questions, leave me a comment below! PS Find out more about ecostore here. This is generally a technique I have used for years now and my curls are very long. I am still prone to frizz and dry ends, so will definitely be trying Ecostore (especially keen to try the leave in conditioner). I also find that not shampooing every wash helps, and I definitely don’t wash everyday and this helps keeps the frizz down. Not sure about not brushing, I would be a dreadful matted mess, so I do brush, but only once a week. I tried all this technique yesterday…..definitely need to brush my hair, which i did wet, and then just left to dry naturally. I then went to the gym and destroyed all the effort!! Bummer! Maybe a wide tooth comb will help with the tangles instead of a brush? Great post – I’m always battling crazy curls and learned plenty. 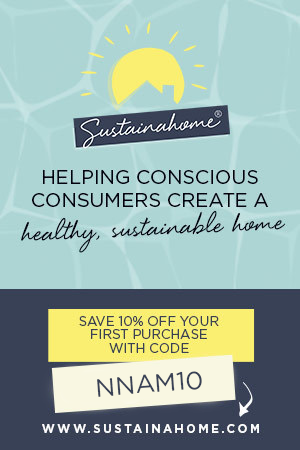 Thanks Sonia – must check out the eco store range. I didn’t even know they had hair care. Great Great information!! My hair has become more curly recently (out of the blue!) I can see beautiful curls when my hair is wet but they completely disappear when dry! I will be trying this as I just replenished my shampoo and conditioner with that exact one (I’ve always loved eco store products too!) Will get some leave in conditioner and give it a red hot go! Great thanks so much! Can’t wait to try the Eco products. I wash every second day but still seems have a lot of frizz on those days. Do you have any tips on how to manage your curls without washing? I brush my hair immediately before I wash it to basically massage my scalp. I use dr bronners organic pump soap (lavender) to shampoo my hair. I follow that with any hydrating conditioner and then apply dr bronners (leave in) organic hair creme. Works well. Also use a spray wax from time to time. Great info! I am so excited about trying this. Can I ask you which micro fibre hair turban you use? Hey Deborah! I haven’t coloured yet. Still undecided if I am going to cover the greys or just embrace them! There are quite a lot of good natural hair colours around. You can also just use henna but it’s apparently a bit messy!